Your letters, e-mails and phone calls are truly making a difference! 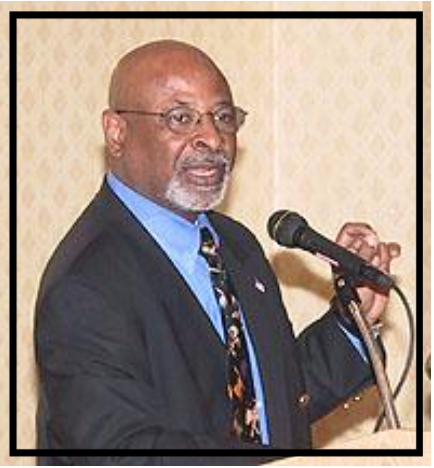 Due almost solely to the efforts of the Alliance and our supporters, Chester Gipson, USDA’s Deputy Administrator for Animal Care, the person responsible for the enforcement of the Animal Welfare Act (AWA), has been asked to leave USDA effective January 3, 2016. Dr. Gipson’s long tenure at USDA has been a period of adversity for all animals covered under the Animal Welfare Act. Dr. Gipson is the USDA official who made the decision to actively help puppy millers circumvent state laws and local ordinances that prohibit pet stores from acquiring dogs from breeders that have violations of the federal Animal Welfare Act documented on their USDA inspection reports. Dr. Gipson instructed inspectors not to cite certain deficiencies in order to allow substandard breeders to continue to sell their puppies in states that prohibited the sale of puppies from breeders with documented violations. USDA subsequently informed the dog breeders that “if at any time a documented violation has the potential of affecting your business, please call our office immediately and let us know,” emphasizing that USDA stands ready to enable substandard breeders to market their puppies to pet stores. What was most disturbing, Dr. Gipson even attempted to cover up this policy and denied that any such “teachable moments” policy ever existed. Last year, the Alliance was contacted by a USDA official insisting that we remove any such mention of this policy from our web site. Since the Alliance was the group that uncovered and exposed this policy and the principal animal welfare organization that vigorously opposed it, USDA believed that they could simply intimidate the Alliance and continue to ignore violations at puppy mills with impunity. Dr. Gipson’s failings also came under fire in 2010 when the Office of Inspector General (OIG) harshly criticized the Department for its failure to adequately enforce the Animal Welfare Act and for its tolerance of inhumane conditions at puppy mills, not only in Missouri, but across the country. In 2011, when USDA was pressured by OIG to enforce standards of care, Dr. Gipson came to Missouri and met with over 100 dog breeders and their industry representatives and apologized to them for USDA’s recent efforts towards enforcement of the AWA. Dr. Gipson, in his apology, stated that he “could have survived the OIG investigation” but that unfortunately the OIG report was issued at approximately the same time that Oprah Winfrey exposed the problem of puppy mills on her nationally watched television show. Dr. Gipson explained to the dog breeders that the combination of the OIG report and Oprah was too great for him and he again expressed regret explaining that “Congress is making me” enforce the AWA. It was no surprise then that when the publicity of the Oprah show faded, USDA once again returned to lax enforcement of the AWA and ignoring inhumane conditions at puppy mills. Dr. Gipson visiting with dog breeders. In response to this lax enforcement and “teachable moments” policy, the Alliance’s Executive Director Bob Baker traveled to Washington DC this June and met with over 20 USDA officials to challenge this new policy and USDA’s overall lack of enforcement of the Animal Welfare Act. The Alliance followed-up by submitting written input to Secretary Vilsack and to key USDA officials citing critical failings within USDA and a list of recommendations. Your subsequent e-mails, letters, and phone calls to Secretary Vilsack played a pivotal role in gaining attention to this issue. The departure of Dr. Gipson is a major step in the right direction but it is merely a step. We do not want USDA to use Dr. Gipson as a scapegoat for years of mismanagement and lax enforcement efforts. We need real change at USDA. The immediate priority is to ensure that Dr. Gipson’s replacement is dedicated to the effective enforcement of the Animal Welfare Act. Please contact the Secretary of Agriculture once again and ask him to appoint a DeputyAdministrator for Animal Care that is serious about the welfare of animals and will vigorously enforce the Animal Welfare Act. 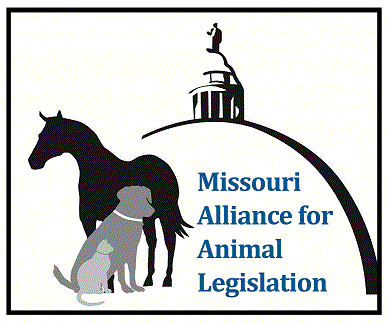 Please inform Secretary Vilsack that the Animal Welfare Act is a priority and he needs to find a Deputy Administrator who will enforce the AWA to the fullest extent of the law. Please note that your communications to public officials do make a difference. It was the Alliance that brought this issue to the forefront. There were only a handful of animal welfare groups across the country that assisted the Alliance in its campaign to reform the USDA and address the lack of enforcement of the Animal Welfare Act at puppy mills. The Deputy Administrator of the AWA would have never been ousted without Alliance supporters reaching out to Secretary Vilsack. Please do so one more time!